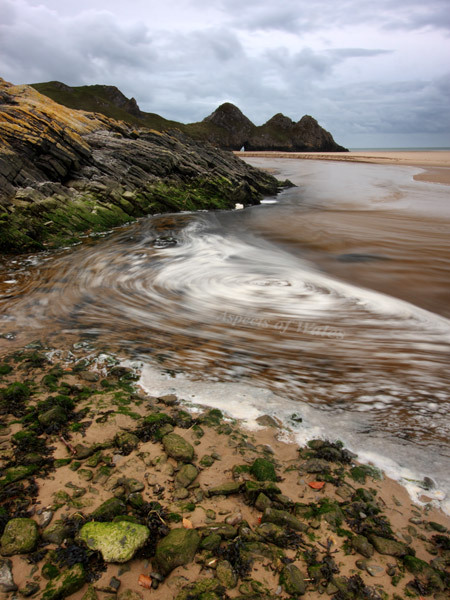 Taken early in the morning in December 2011 at NGR SS5390988065, where Pennard Pill flows into Three Cliffs Bay. Canon EOS 40D, Canon EF-S 10-22mm lens at 14mm, polariser, Manfrotto tripod. Exposure F25 at 1.6, 3.2 and 6 secs combined. Original image in Raw format.